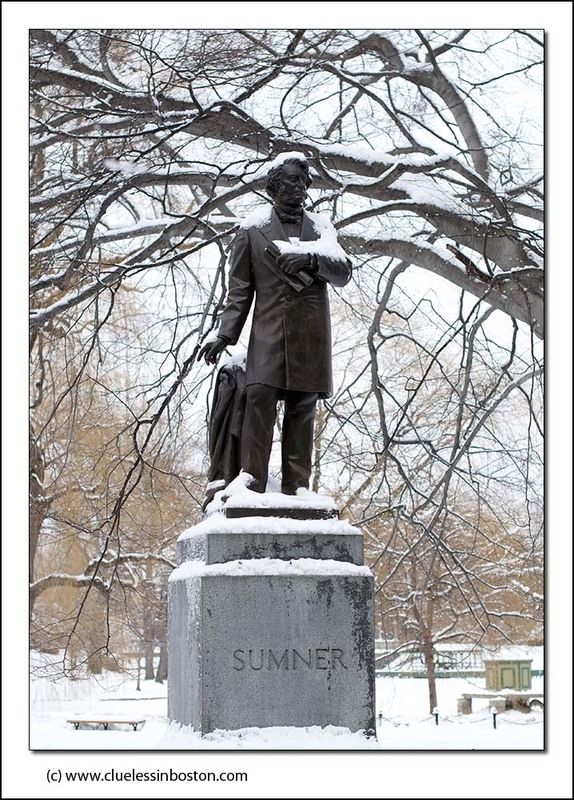 Statue of Charles Sumner in the Public Garden. Sumner was a leader of the anti-slavery movement in Boston and served in Congress during the Civil War. The USA owes a lot to the New England abolitionists. Thank you for highlighting the monument to one of them. 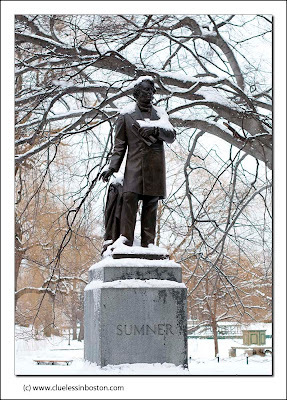 The statue is beautyful under the snow..
Just had to look him up in my Shelby Foote history of the Civil War. Nice capture. I like the blanket of snow. Bit o' word play? I like it. The poor guy looks a bit cold. Is the tunnel named after him?